Collector for ArcGIS 10.3 for Android, available on Google Play, is a big update. Esri couldn’t wait to share this update with the Android community. Now you can create/update information that is modeled using relationship classes inside your geodatabase. This unlocks new capabilities. 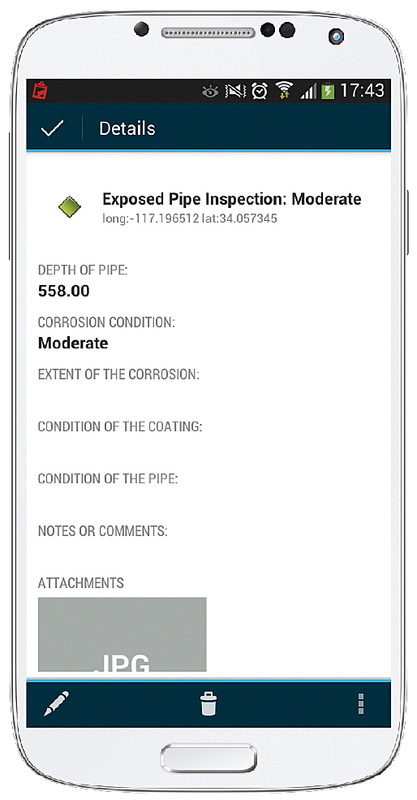 For example, one or more inspection forms can be related to an asset or relationships can be used to provide a more advanced survey that includes optional subforms. Note that if you use archiving with ArcGIS for Server feature layers specifically, look for a patch for Server that will support relationship classes that will come out later. To leverage your investment in ArcGIS for Server, you can publish feature services that are managed using a versioned transaction model and edit features offline using Collector. What’s great about this is that you can use the versioning model to manage the QA/QC of field edits before merging them into production systems. Note that this will require upgrading ArcGIS for Server to version 10.3. When you capture or update data in Collector, you are using feature layers. Feature layers support advanced editing permissions defined through the service that they are hosted within (either ArcGIS Online hosted feature layers or ArcGIS for Server feature layers). Collector now fully honors those permissions so that you can model desired behaviors such as restricting field users to editing form content and preventing them from changing locations or deleting features. Until now you could either take Esri basemap layers offline, generate your own tile packages, and sideload them to your mobile device or publish ArcGIS for Server tiled map service layers and use them as your basemap. Now you can also use tiled web layers hosted within your ArcGIS Online subscription. Without giving it all away, there are some big things in the works this year! Esri is working hard to bring Collector to Windows and Windows Phone devices right now so this release can include all the great 10.3 capabilities. Esri is also improving the capabilities in the map and how it is packaged for use in the field providing more advanced symbology, prepackaging maps for offline use, and making other improvements. 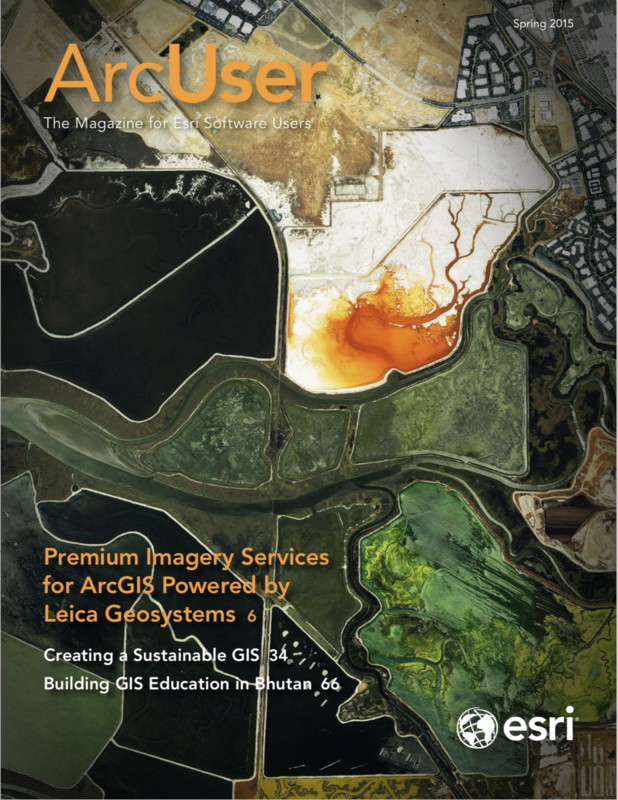 Share your ideas for new capabilities or your feedback in an e-mail to Collector4ArcGIS@esri.com. The Operations Dashboard for ArcGIS 10.3 update provides a number of focused enhancements as well as stability improvements. This is a really powerful new feature. Your feature layer is a data source and you have always been able to apply an attribute query as a filter, but now you can combine that with a spatial filter (the current map extent). This lets you use widgets to compare data. For example, you could compare well production shown in the current map extent with all well production. Combined with an attribute filter, you can do some pretty amazing visual analytics. Operations Dashboard is designed to work with real-time data. You can tweak how frequently you want to see and receive updates (either synchronized in the app or independently by layer). 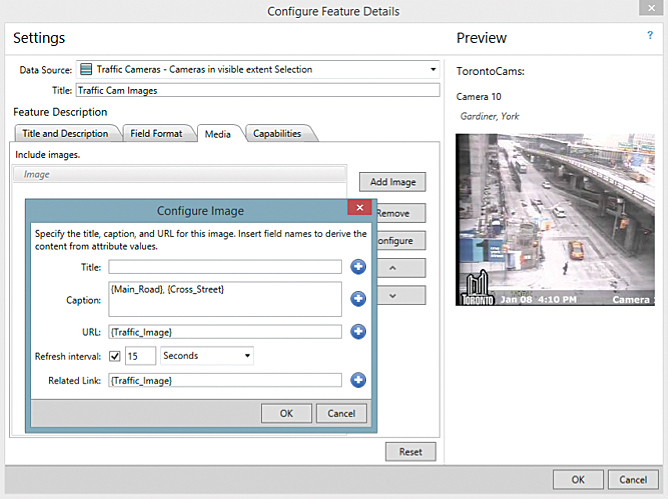 If you had security or traffic webcams though, refreshing the layer itself didn’t help you. Now you can have a separate refresh rate that you set specifically for media that you link to that updates on its own schedule. Back in March 2014, Esri introduced the Browser app to complement the Windows app. It was designed specifically for touch screen tablets (iPads, Android tablets). With 10.3, it is now available with your on-premises Portal for ArcGIS as well as embedded within ArcGIS Online. Esri recently added the ability to pop out widgets so you can see them better on smaller screens.